Gov. Ralph Northam’s career was already teetering over a racist photo in his 1984 medical school yearbook when the crisis seemed to spiral completely out of control Wednesday. First, the state’s attorney general acknowledged that he, too, put on blackface once, when he was a college student. Then a woman publicly accused the lieutenant governor of sexually assaulting her 15 years ago. Everyone in Richmond, it seemed, was waiting Thursday for Virginia’s Legislative Black Caucus to respond. 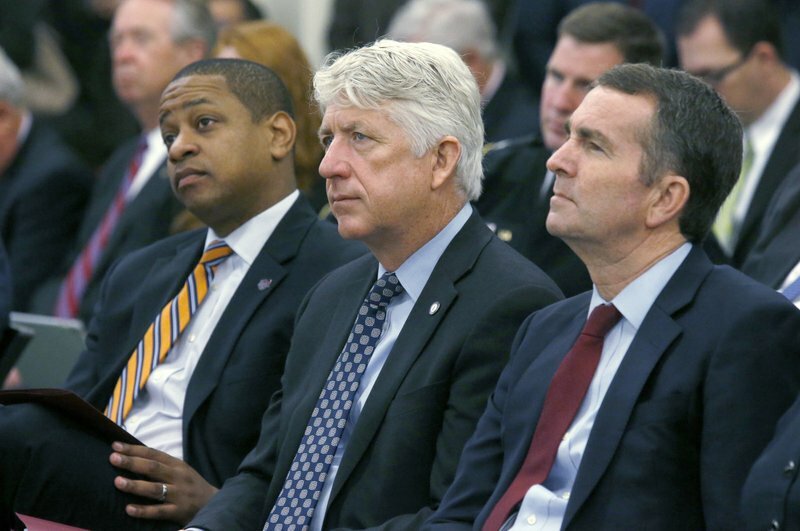 The caucus has been calling for Northam’s resignation over the past week but was silent about the latest developments . The crisis threatens to bring down all three of the politicians, all of them Democrats. If Northam resigns, Lt. Gov. Justin Fairfax stands to become Virginia’s second Black governor. 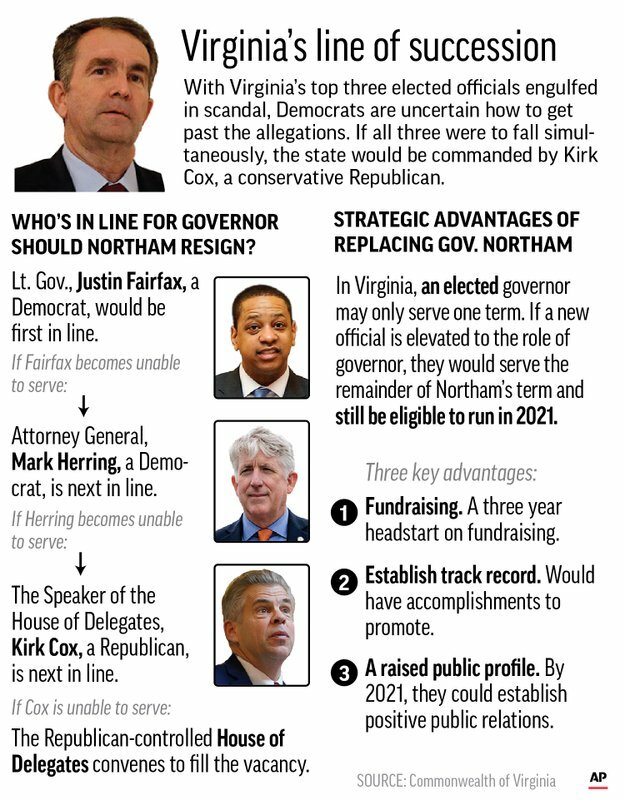 Attorney General Mark Herring is next in the line of succession, followed by House Speaker Kirk Cox, a conservative Republican. He apologized for his “callous” behavior and said the days ahead “will make it clear whether I can or should continue to serve.” The 57-year-old Herring came forward with his statement after rumors about the existence of a blackface photo of him began circulating at the Capitol. But he made no mention of any photo. At the Capitol, lawmakers were dumbstruck over Wednesday’s fast-moving developments, with Democratic Sen. Barbara Favola saying, “I have to take a breath and think about this.” GOP House Majority Leader Todd Gilbert said it would be “reckless” to comment. “There’s just too much flying around,” he said. Black lawmakers’ response could set the tone for whether fellow Democrats demand the resignation of the lieutenant governor and attorney general. Cox called the allegations against Fairfax “extremely serious” and said they need a “full airing of facts.” The Republican leader also urged Herring to “adhere to the standard he has set for others,” a nod to Herring’s previous call that Northam resign.